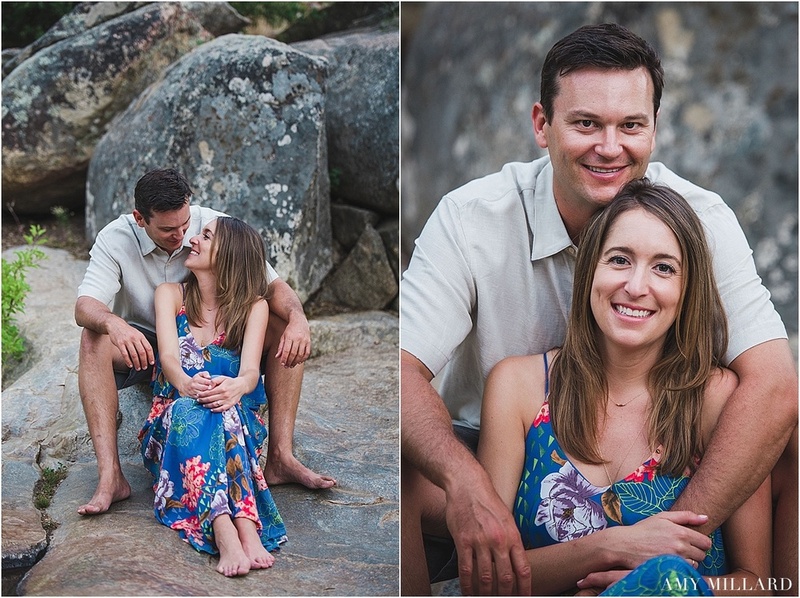 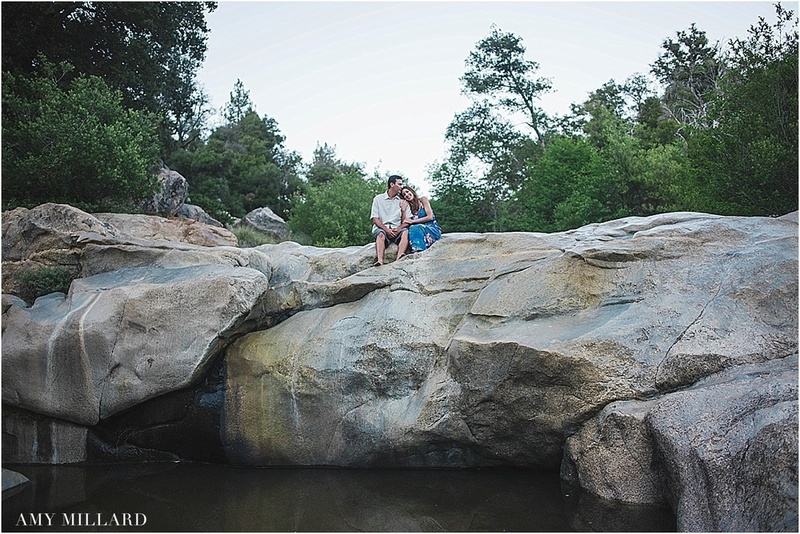 Rarely does an engagement session starts with your car overheating on the side of the road and the couple you're about to photograph, coming to your rescue - that's what makes Carly & Brandon a one-of-a-kind couple. 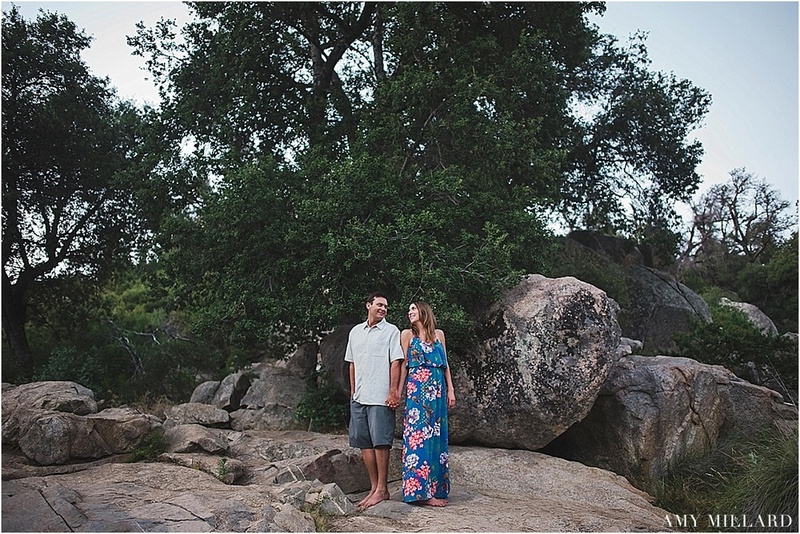 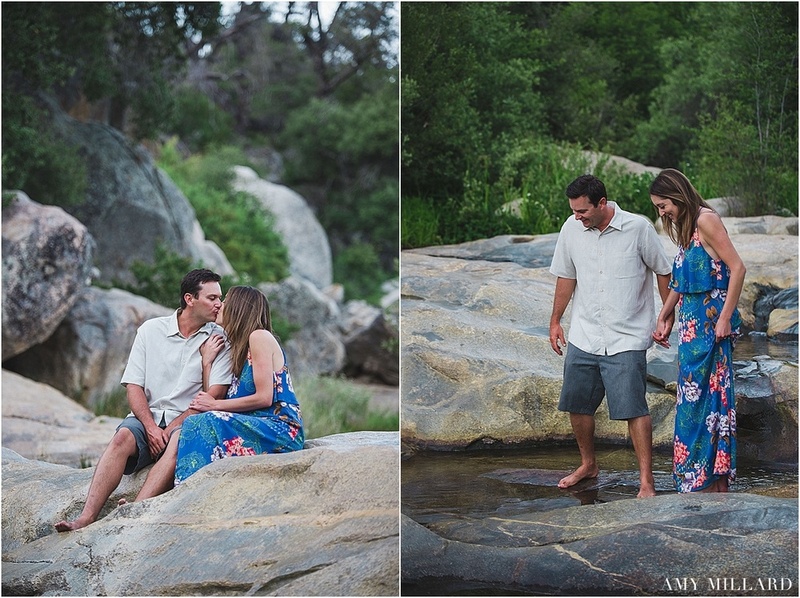 We carried on with the shoot at Green Valley Falls, where Carly and Brandon played along the rocks and small waterfalls. 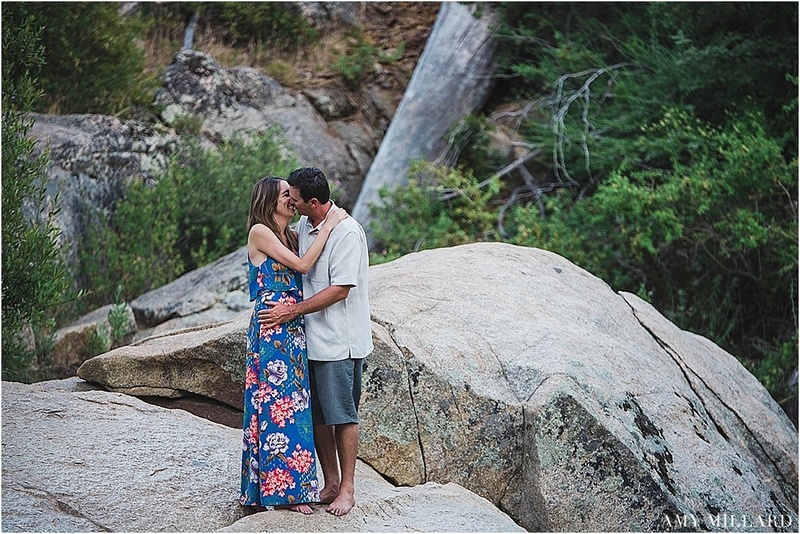 Brandon happens to be a brewmaster at Alpine Brewery, so it was suitable that they sipped on a few brews while reminiscing of all their camping trips and childhood memories from this location.